Everything on an oil & gas drilling rig needs to be tough. 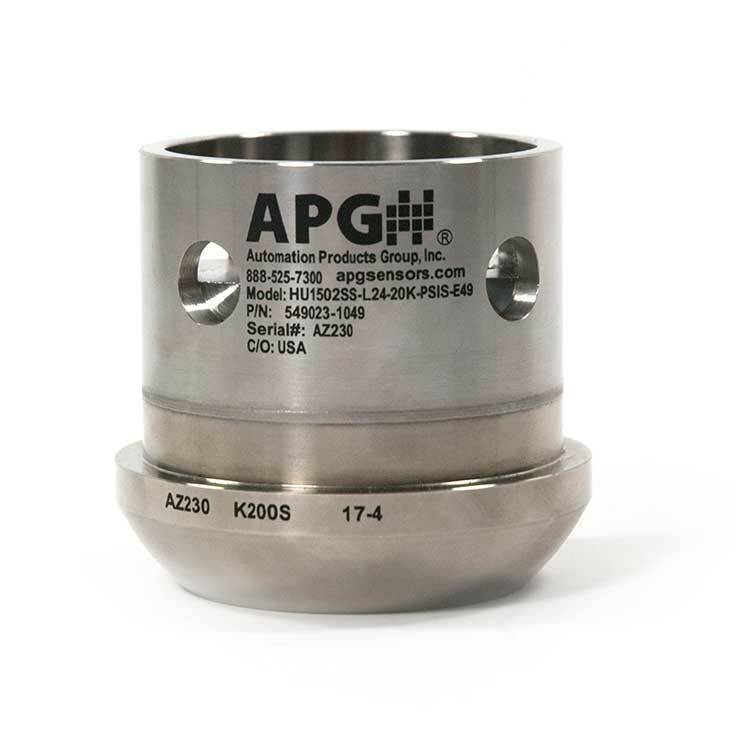 Our 1502 hammer union pressure transducer is built for extreme pressure, high vibration, and rough handling. The 1502 HU is certified for global use in hazardous locations through CSA (Class 1, Div 1/Zone 0), ATEX (CE 0344 EX II1G Ex ia IIB T4 Ga), and IECEx (EX ia IIB T4 Ga). It's also NACE MR-01-75 and ISO 15156-3 compliant for sour gasses. With the Shunt Cal feature, you can calibrate the transmitter to the right pressure range without having to pressure it up. The welded body and durable electronics handle extreme vibration common in MWD and other high pressure processes. When we first started the design for the HU, we made sure to pay attention to the details - like a wider top for easy access to the connector, and drain holes to keep it from filling with water.